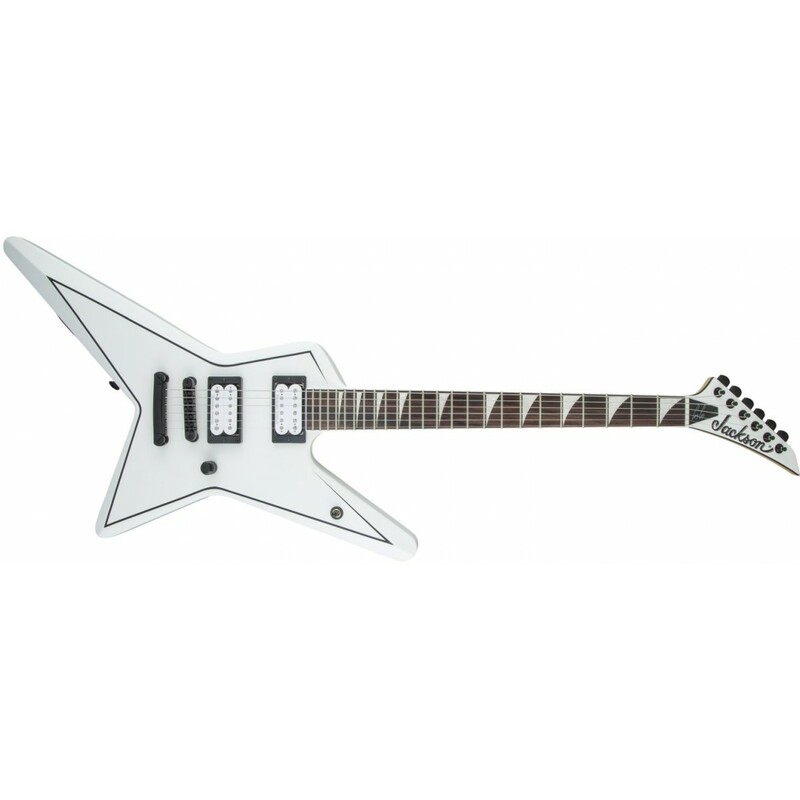 Jackson pays homage to the Greek Metal God with his very own signature X Series Gus G. Star model, offering a spin on one of Jackson’s original avant-garde body shapes. 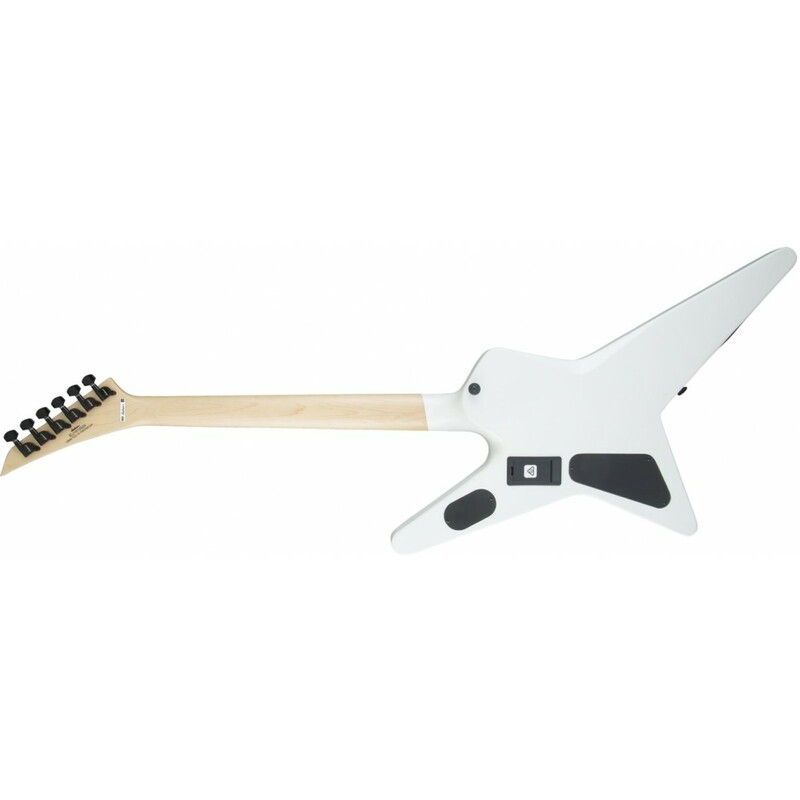 This signature Star features a mahogany body with a one-piece through-body maple neck stabilized by a pair of graphite reinforcement rods and scarf joint, and a 12” radius rosewood bound fingerboard with 24 jumbo frets and pearloid sharkfin inlays. Remaining balance in 3 installments of $380 to be paid every month. 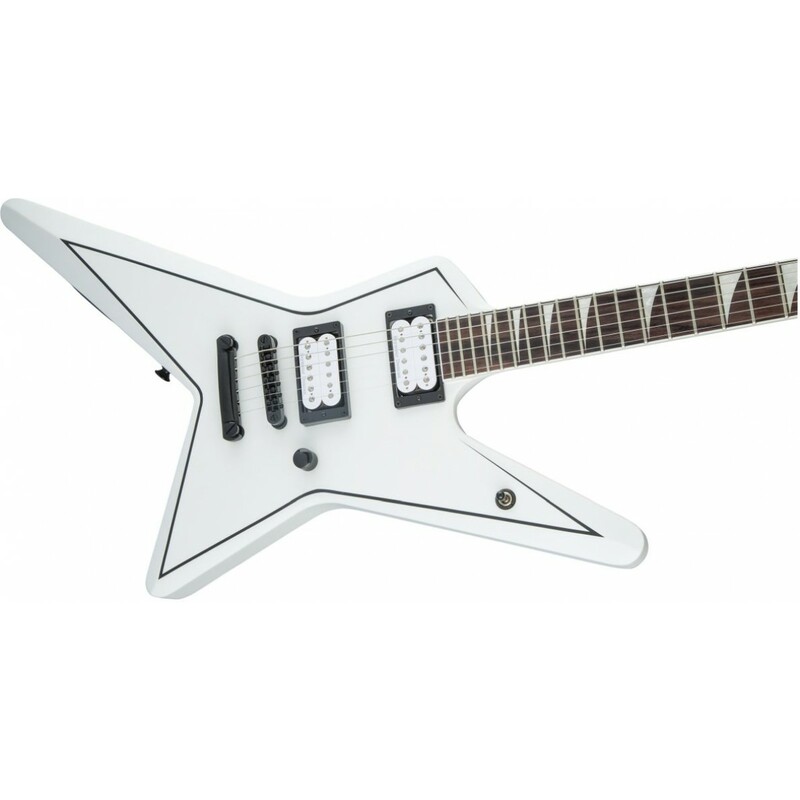 A pair of Seymour Duncan® Gus G. Signature Blackouts power this pointed machine, with a single volume control and three-way toggle switch to shape and refine tone. 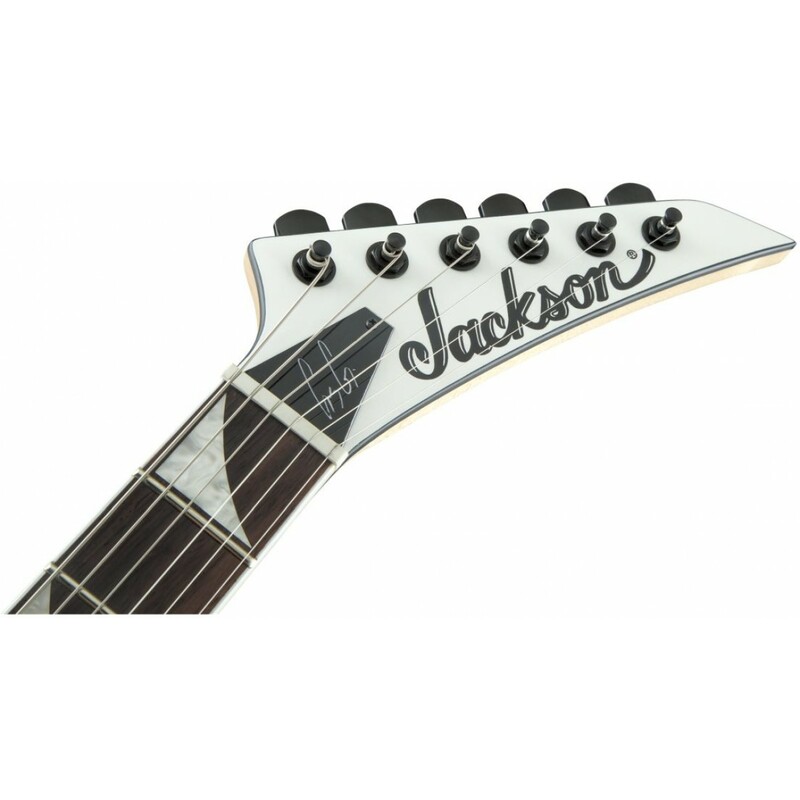 Also equipped with a Jackson® compensated and adjustable bridge with anchored tailpiece, black hardware and Jackson® pointed 6-in-line headstock. Available in Satin Black with White Pinstripes or Satin White with Black Pinstripes.